I was reading an article recently about the search for a suitable site for an unmanned mission to Mars in 2020. 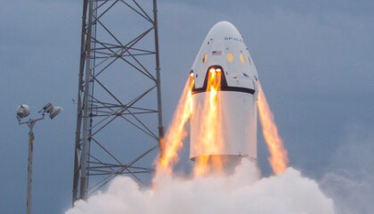 The mission’s aim is to send a spacecraft called Dragon to the surface of Mars (photo below). Built by a private company called Space X, Dragon is designed for a crew of 8 astraunauts and is already in use for reaupply missions to the international space station. 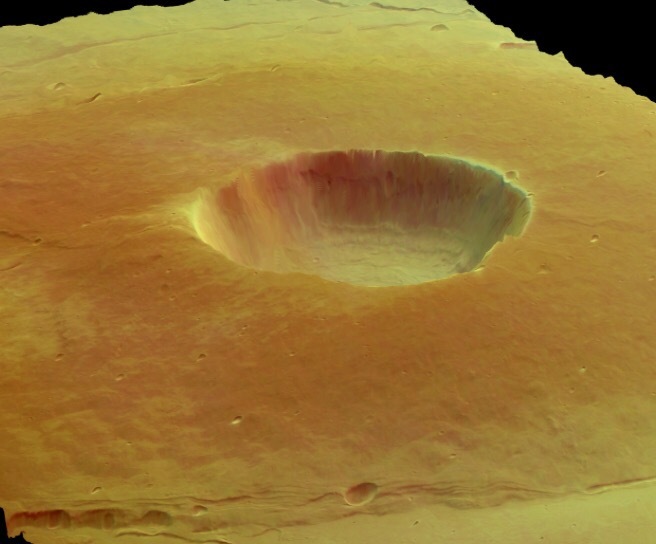 The article described a landing site in the region of Arcadia Planitia in the northern hemisphere, which would, apart from having a source of water and a relatively level and smooth surface, give a good view of Olympus Mons, the biggest mountain in the solar system and three time bigger than Mount Everest. It made me wonder how long it would be til we start exploring Martian mountains, how long til we get Martian Mountain guides, leading and keeping people safe on Mars! It sounds so far fetched I know but on Wednesday Space X reach an important milestone in their goal to establish a colony on Mars. On Wednesday a Space X Falcon 9 rocket, recovered back in April 2016, will be reused, paving the way for cheaper space flight. Space X have mastered the vertical landing of rockets using retro-propulsion. Recovering rockets in this way and their reuse is being described as a ‘Wright brothers moment’ reducing the cost of space travel from $21,000 dollars per lb carried into orbit to $1,000 a lb. Or to put it another way a single ticket to Mars would cost the same as an average house. The next milestone after that will be in late 2017 with the launch of Falcon heavy, a big, reusable rocket the size of Saturn 5, powerful enough to launch the Dragon spacecraft to Mars. Then in 2020 there will be Dragon’s unmanned mission to Mars, followed, in 2022 by the first manned mission to Mars. The next step after that for Space X will be to build an even bigger reusable rocket and spaceship capable of carrying 100 people, to Mars every 28 months. This all might seem unbelievable it has already been designed and fuel tank of this huge new spacecraft has been been built! Check out this video to see what the spaceship would be like. So what mountains would you climb. Well to the east of Arcadia Planitia there’s Olympus Mons and Alba Mons and to the West, Elysium Mons. These are truely colossal mountains though. 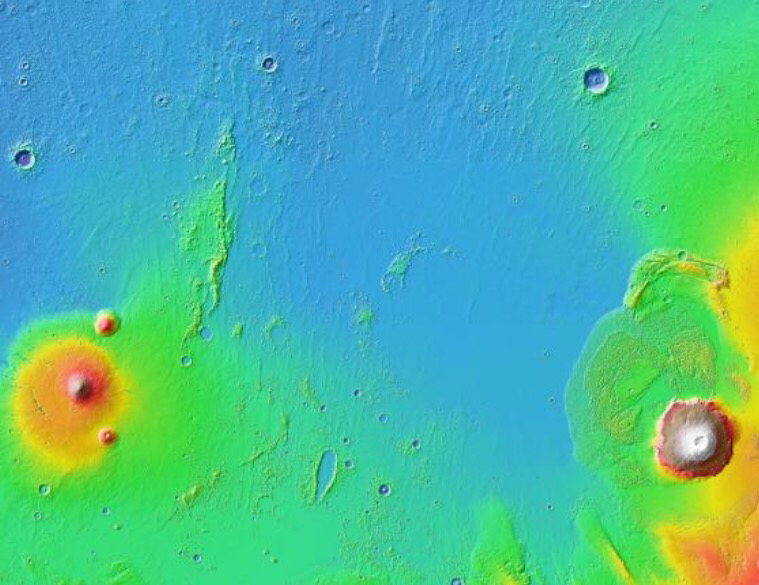 They are all shield volcanoes that have got bigger and bigger over time because the Martian crust doesn’t move; so they just get bigger over the millennia. On earth, similar volcanoes, like those in Hamaii, form a chain as the earth’s crust moves across a volcanic ‘hotspot’. 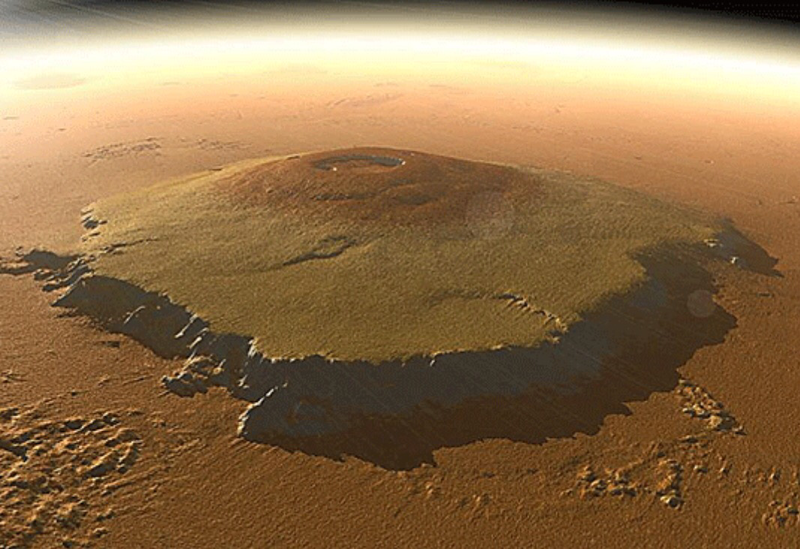 Alba Mons is 8km high and the size of Arizona and Olympus Mons 22km high and the size of France. An interesting one to climb maybe would be Albor Tholus (photo below) to the south east of Elysium Mons. It’s much smaller, only 30km across, 4,500m high and has a caldera that is 3,000m deep! The map below shows, in the centre, the flat plain of Arcadia Planitia. On the left is Elysium Mons and Albor Tholus and the huge mountain on the right is Olympus Mons. Perhaps a more scenic place to explore would be Phlegra Montes, to the northwest of our landing site at Arcadia Planitia (the green linear feature on the left side of the map). This is a complex system of mountains and basins. If you want glaciers there’s an area called Deuteronilus Mansae way out east, a mountainous area with big Himalayan like glaciers. Further east and near the equator there are massive canyons 8km deep like the Valles Marineris. Would you go? Would you move to new colony in Mars? I love the idea and ‘am drawn to prospect of exploring the mountains and landscapes of a new land. Some extra info on Space X …. 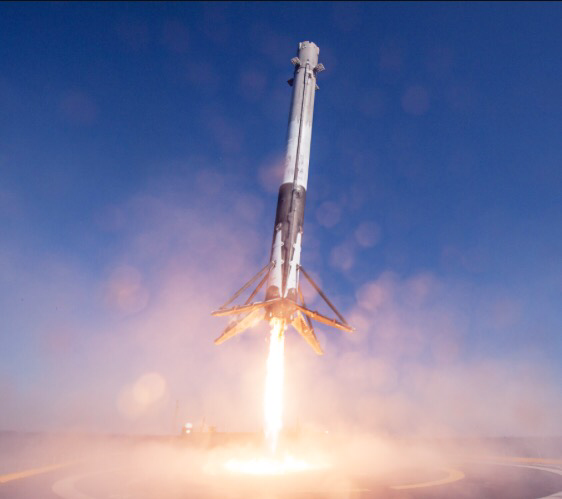 Space X was the first private company to successfully launch a rocket into space, the first to reaupply the international space station and the first to crack the vertical landing and recovery of its rockets using retro-propulsion. On Wednesday we’ll see whether they can take it a step further and reuse rockets for the first time in history. Check out the their live webcast on their YouTube channel.